One of the stories of the year was the showdown this fall during the Spring/Summer 2013 prêt-à-porter shows between the new design heads of Yves Saint Laurent and Christian Dior. Make no mistake about it: this was not a fight initiated by either one of the designers. Both were presenting their first new ready-to-wear lines for their respective labels (Dior fans had already had a glimpse into Raf Simons' universe with his Couture show in June). The two creative directors were faced with a difficult task: reinterpreting the classic YSL and Dior pieces, but avoiding accusations of ‘playing it safe'. The debut ready-to-wear Dior collection of Belgian designer Raf Simons, who had been at Jil Sander since 2005 (upon his departure, Jil Sander herself returned to her namesake label) was one that was hotly anticipated. The live-streamed Dior show started late but went off without a hitch. 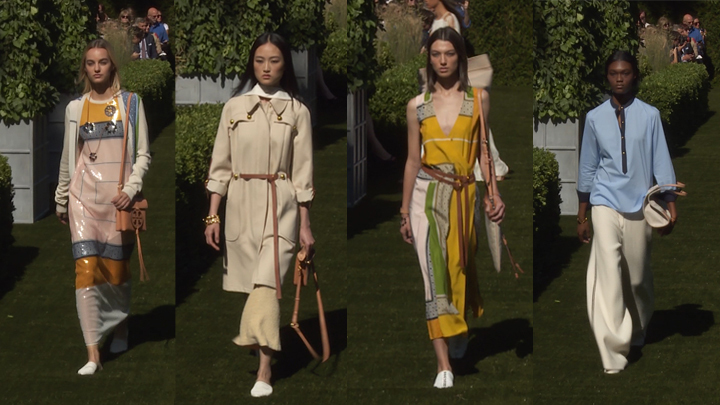 Simons updated the classic Dior shapes with his own minimalist tendencies and an astute use of color and fabric. Soundtracked with warm Detroit house by DJ legend Carl Craig, the collection offered a smart selection of evening separates. Slimane had already come under attack for his decision to move Yves Saint Laurent's design team to his adopted home of Los Angeles, and for his rebranding of the ready-to-wear lines. The Yves was lopped off, and Saint Laurent (with a seen-but-not-heard ‘Paris') was re-born. Fashion's biggest names were in attendance at the Grand Palais as Slimane's Saint Laurent show went west, moving from 1970s Paris to hippie California with luxurious ease. Flowing kaftans in black and gold, and rock 'n' roll inspired looks were paraded by models hidden under wide-brimmed hats. Despite his success Slimane's discontent with his supposed detractors in the press was still bubbling nearly two months after the show, with Saint Laurent CEO Paul Deneve writing an open letter to WWD accusing the publication of sensationalism - "I regret that the best-known and oldest trade journal in the fashion industry should reduce the collective talent of all designers showing in Paris to a so-called duel between two fashion houses and two men." With apologies to Monsieur Deneve, the Slimane versus Simons battle was the fashion story of the year - excitement, intrigue and two great designers taking on two great legacies. There were plenty of fantastic collections in 2012 in which designers made their mark on the fashion world. 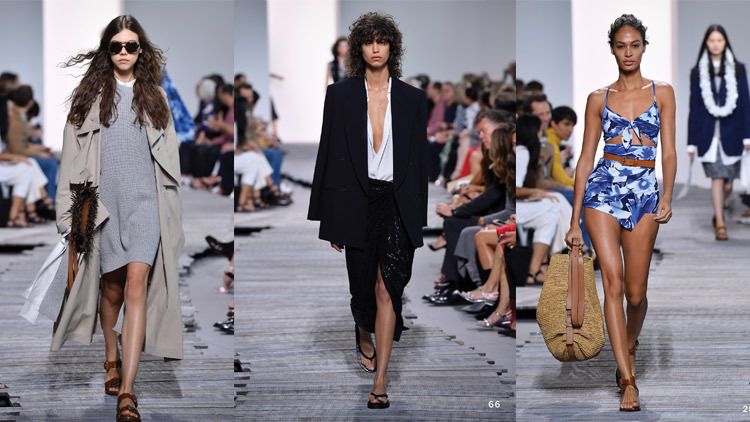 Up and coming stars like Anthony Vaccarello and Pedro Lourenço were standout young designers from Paris, and Balenciaga's Nicolas Ghesquière proved he still had something new to say with a directional last collection for the brand. Isabel Marant's namesake label has been around since 1994, but in 2012 the label continued to bloom despite the global downturn. An enormous success in Japanese multi-brand stores, Marant opened her first standalone boutique in Japan in August this year, which also features a showroom and studio. The brand now has stores in France, Spain, the USA, Lebanon, Hong Kong and China and continues to extent its reach. While her famous wedge sneakers were first released in 2010, 2012 was they year that they (and plenty of high-street copies) were on the feet of all and sundry. Carven has left its haute couture legacy behind, hiring young French designer Guillaume Henry in 2009 in order to focus on "inspired and affordable ready-to-wear clothes". As style.com's Nicole Phelps puts it - "In the three years Guillaume Henry has headed up Carven, he's established new codes for the old couture house with surprising swiftness and confidence." 2012 was the year that Henry added another string to his bow, with the brand's updated menswear collection on sale at the beginning of the year. Prior to the label's rebirth, Carven Homme had provided dependable office wear for bourgeois chaps, but Guillaume Henry has completely rethought the menswear offer to commercial and critical acclaim.